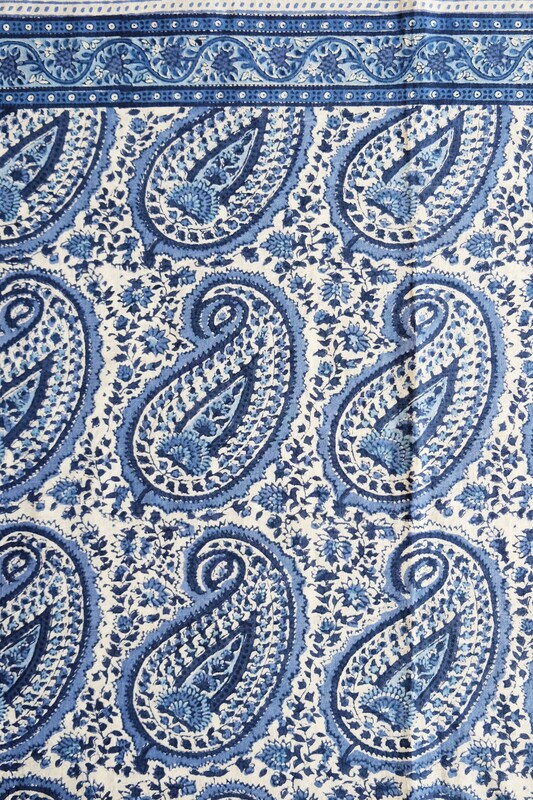 This beautiful lightweight, semi translucent curtain, has been hand block printed with an paisley design element that looks beautiful when held to the light. 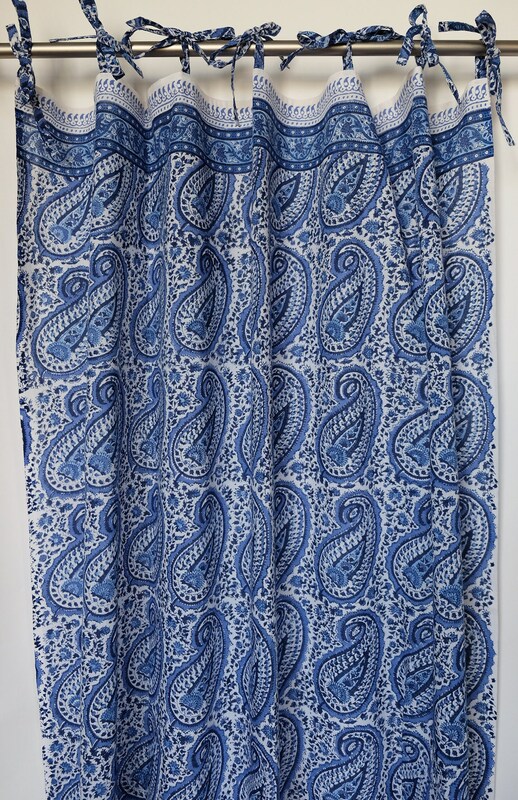 Perfect for filtering bright daylight or providing added privacy. 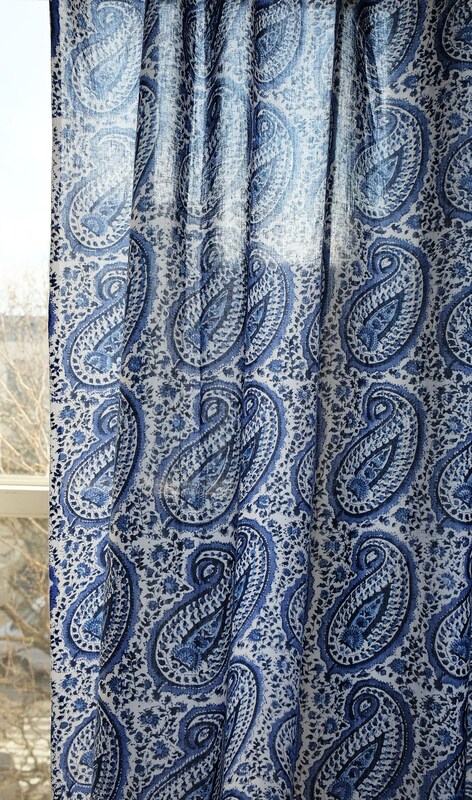 Each curtain has 2.75" loops at the top for easy installation on any curtain rod, & a border design at the hem.